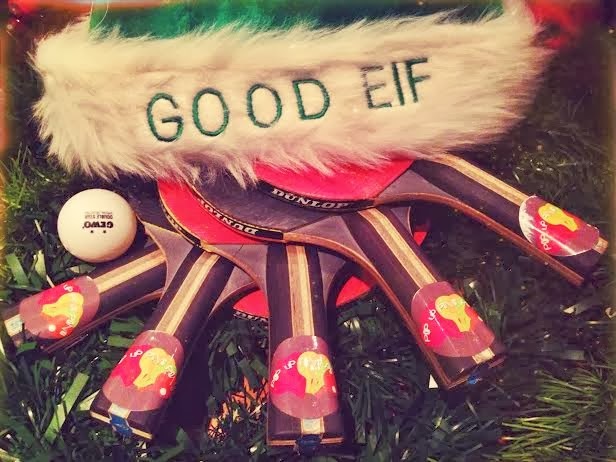 Pop-up Ping Pong, aka PUPP, are hosting one final night in 2013, and it's their Christmas party. It's at Netil House, near Broadway Market, and the ping pong, music, and drinks will go on until after midnight. A perfect final Christmas party! "Escape to Pop Up Ping Pong’s (@PingPopPong) secret Elf Factory in Hackney for one last round of festivities on the Saturday before Christmas. No one throws a ping pong party like the ping pong party kings. If you’ve missed Pop Up Ping Pong so far, catch them for one last time in 2013 as they throw a Christmas special at The Elf Factory; long considered mere children’s fiction, but in fact top-secret adult reality. We can reveal that on Saturday 21st December Santa’s very workshop will appear inside Netil House for one night only, featuring a suite of ping pong tables set to sit alongside PUPP’s infamous beer pong tables. Giant baubles will hang from the ceiling while presents of all shapes and sizes will adorn the room, ready to descend the nation’s chimneys with just days to go. Indulging further in the festive spirit, expect PUPP’s famously cheap bar to be stocked with winter warmers such as mulled wine and the usual beers at just £3 a bottle. To quell your hunger, street food maestros #BRGR are creating a delectable Christmas twist on their classic mini cheeseburgers with melted brie, cranberry sauce and a limited special edition turkey slider. And don’t forget the cronuts or crack pie, two of London and New York’s most sought-after sweets available in one place for one night only. As for music, leave it to the DJ to have you dancing into the night spinning a selection of your own tracks, which you can add to the ever-growing PUPP Playlist here. Tickets allow unlimited gaming all night plus a few treats of PUPP’s own. That leaves just one question – have you been naughty or nice? While Santa may favour the good, PUPP always encourage a little foul play…"